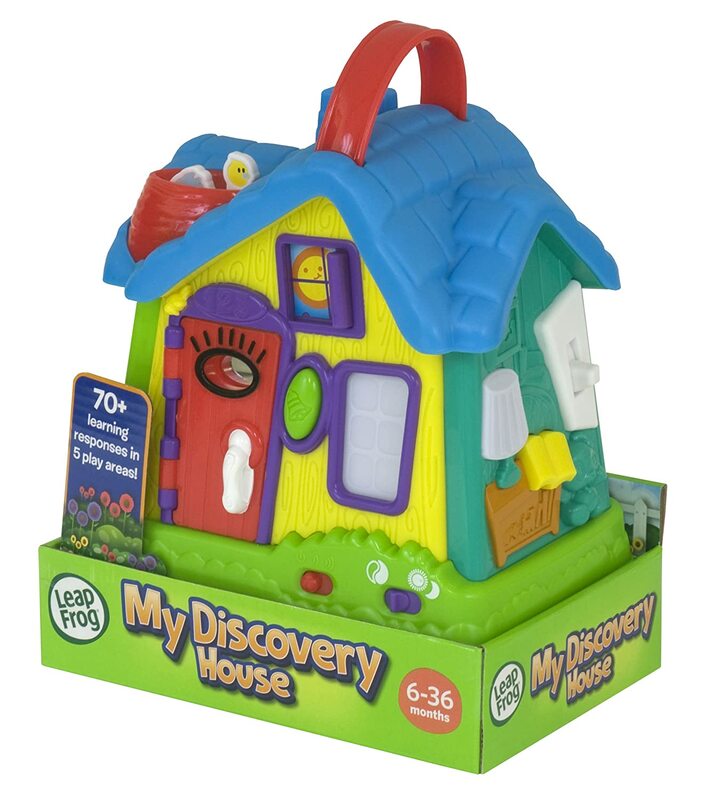 My son received the My Discovery House for his first birthday. 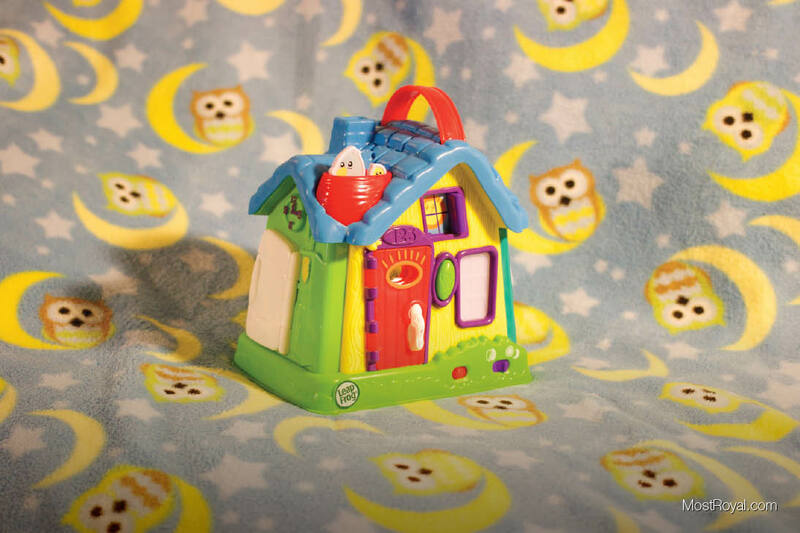 It is a very simple toy, with moving doors and windows, a light switch, a couple of birds. etc. For a child who is obsessed with doors and light switches this toy entertains him really well. He played with this in the beginning for a long time. It was a lifesaver during a recent long car ride, where he played with it for over an hour! But, I have stopped giving it to him as it doesn’t keep his attention like it used to. I expect that I can bring it out every so often and he will love it again [see the update to this review below]. All in all, we like this toy. My son loved it at first and he really was entertained. He did get bored with it after a few days, but as I said, I think it will come back in rotation soon enough. We recently took this toy on a family vacation. Because it had worked so well in the car before we decided to try it again. It held our 1-year-old son’s attention for multiple hours during the long car ride to our destination. Once again, multiple hours. This kept him happy and us sane! And, it was a hit with his 3 and 8 year old cousins for the week we stayed with them. We were really surprised by how popular this was. UPDATED RATING: 5 out of 5 stars. We strongly recommend.